When it comes to attracting new tenants, there are many different things you can advertise to bring attention to your property. Of course, online ads are essential, and you need to have a rental property where people will actually want to live. But what do you do when you need to get potential renters over the hump, so they sign on the dotted line? Free money usually does the trick! There’s been a constant debate between offering one month’s rent free versus reducing the rent on a monthly basis for the tenant throughout the term of the lease. Let’s take a look at the pros and cons of each approach. For simple math, we’ll assume you’re renting your space for $1,300 a month on a twelve-month lease. Easy Marketing. It’s easy to attract people to your place when they don’t have to pay for the first month’s rent. This tactic works particularly well if you need to fill vacancies quickly, especially if you have multiple apartments that need to be rented. Switching apartments can be quite costly, and many people could use the option of a first month free to make for a better transition while they wait to get their deposits back from their prior apartment. A one-month concession can make this process much easier for prospective tenants. Increased Renewal Rates. When the lease is up, your tenants’ renewal increases will be based on the monthly amount they paid for rent. The one-month concession doesn’t factor into the equation, so you can still charge an increased renewal price that’s appropriate in relation to the monthly rent. Using our example rental payments, you could calculate an annual increase on the $1,300 monthly rent, even though the renter didn’t pay one of those months. Availability of More Income Each Month. If you’ve ever worried you might have to spike rent just to cover the bills, you’ll probably understand why the one-month free option appeals to some landlords. One-month-free concessions tend to keep occupancy high. Properties that don’t have vacancies typically have more leeway in terms of cash flow. Renters’ Inability to Pay. If you have renters who are stretched to meet your monthly rent after the one-month free concession has ended, you may find yourself in the face of an eviction process. This situation also lends itself to costly court battles and the potential of damaged property. As a landlord, you have enough things to deal with; if you can put out fires before they even begin, that’s always a good, proactive approach. It’s important to thoroughly screen renters to ensure they have the funds to pay rent when the contractual charges settle in. Potential of Attracting Underqualified Candidates. If you’re attracting renters who are solely interested in your property because you’re offering a free month’s rent, that could be a red flag for future problems. Of course, that’s certainly not always the case, but it’s definitely a possibility to be aware of. A Month of Missing Income. This is the most obvious con. When you offer a month of free rent, you’re immediately leaving that income off the books for an entire thirty-day cycle. If you’re in a pinch for cash right now, that free month might be the make or break moment for your bank account. Now let’s use the same $1,300-per month example. If you shave off $100 per month for the length of the lease, your tenants will pay $1,200 a month. Some property owners believe it makes more sense to lower the rent versus offering a single month free. At Bay Management Group, we agree. By lowering the monthly rent, you’ll expand your pool of potential tenants because most renters tend to search within a specified price range. 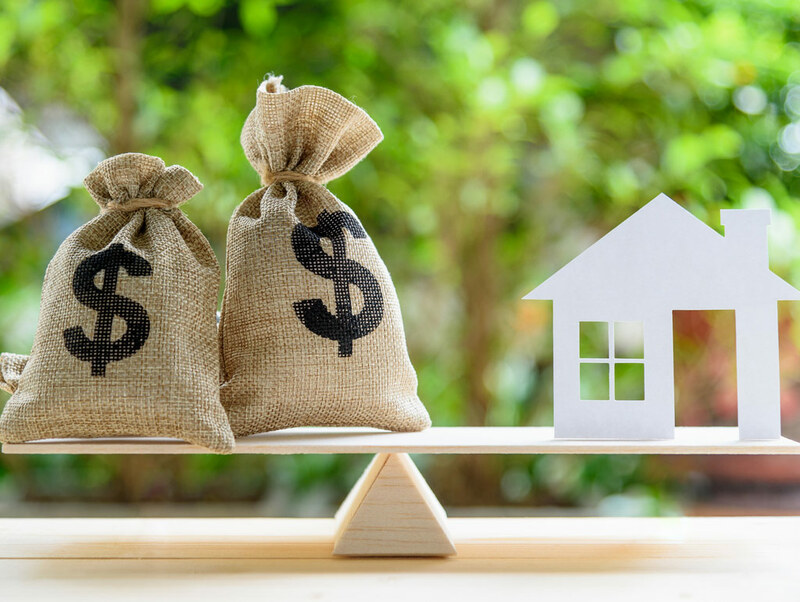 You’re effectively moving into a different pricing category for potential tenants; thus, you’ll get more candidates inquiring about the property. Attracting a Higher Pool of Potential Tenants. The higher your monthly rent is, the smaller the pool of potential renters will be. By lowering your monthly rent, you’ll increase visibility to your property. This is an important marketing tool that’ll take care of most of the work itself, simply by making you more searchable by a greater number of people. Filling Vacancies Quickly. The longer your property stands vacant, the more money you’re losing. Each day takes a hit on your wallet, and the more expensive your property is to rent, the longer it’s likely to exist without potential tenants. Sure, you could get lucky if you have a pricey place on the market because there are always people looking for rental properties. But it’s much easier to cast a wide net when your monthly rent is lower. By filling vacancies quickly, you ensure a steadier revenue stream. Decreased Revenue Each Month. Obviously, the lower you make your monthly rent, the less income you’ll have each month. It’s important to do the math and make sure you’re presenting realistic numbers that still ensure you’re covering all of your bases, so you don’t find yourself in crisis mode a few months down the road. Difficulty Increasing Rent with Renewals. When your tenants’ leases are up, you’ll have a hard time bringing your property back to market rates if you decrease the monthly rent too much. A stark increase will likely lead to turnover, which can be costly in and of itself. That will require repairs and renovations, advertising costs, screening potential new renters, and dealing with new lease agreements. Incentives really are a personal preference. Whether you choose to offer a free month’s rent, or you decide to lower the rent across the entire term of the lease, there are pros and cons to each option. At Bay Management Group, we have had far greater success by lowering the rent. We feel that if an owner gives us the option to either (a) offer one-month free at $1,300 or (b) lower the rent by $100 per month, we would choose to lower the rent by $100 all day long. In our experience, the property will lease much faster with the lower rent and attract higher-quality tenants. Are you feeling stuck, trying to decide if you should reduce rent or offer one-month free rent? Don’t deal with this decision alone! Bay Management Group is Baltimore’s go-to property management company landlords look to when they need help with these types of obstacles. Reach out to our team to learn how we can help you with this situation and much, much more!